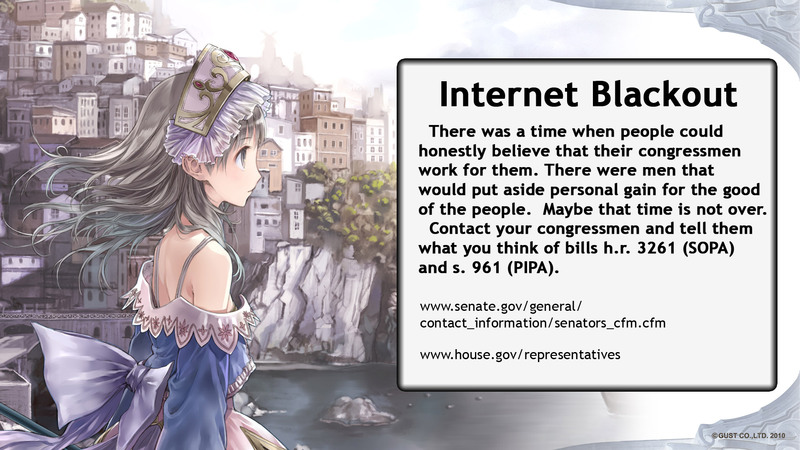 In January of 2012, a large group of prominent internet companies staged a protest in response to bills effecting internet rights that were being debated in both the US house and senate. The bills, referred to as SOPA and PIPA, carried very real dangers of censorship and bypassing of the United States court system. While we could hope that the Supreme Court would strike down such a law, it should be the responsibility of the US people, not the court system, to hold our representatives accountable. 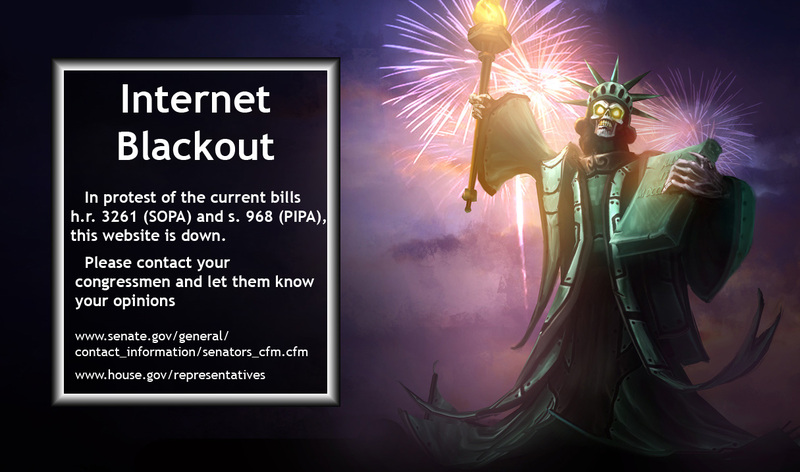 Many of the protestors took their sites offline for a day in protest. Major sites in this camp included Wikipedia and XKCD. Other sites such as Google maintained prominent banners on their site for the duration of the protest. Here is proof that it is possible to have fun while involved in politics. I clearly got a little carried away with this one. I think what I am most proud of though is how I decided to pass the message. 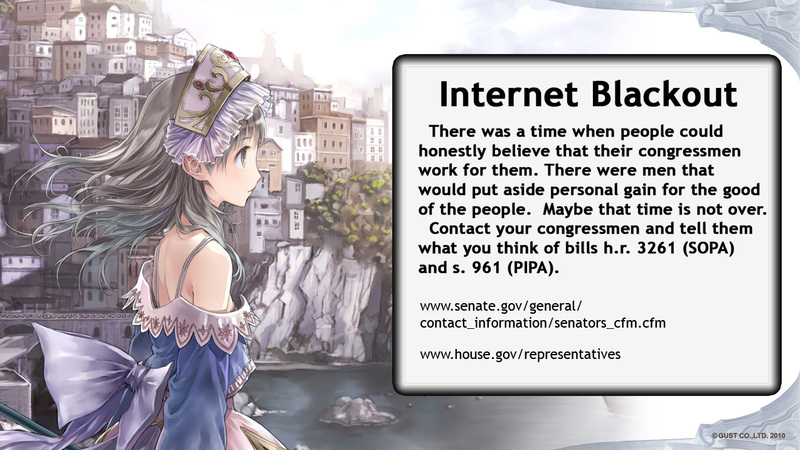 I gave links so that people could easily find contact information for their elected officials, but nowhere do I define what you should tell them. 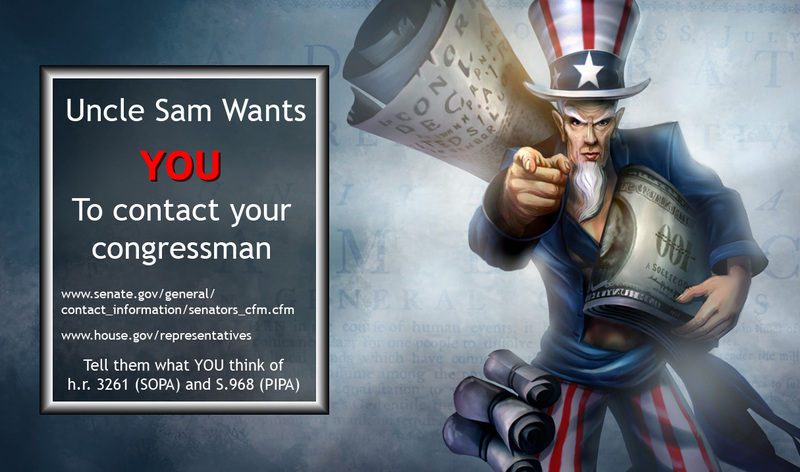 If you live in the United States, I want you involved in our system; even if you disagree with me. Especially if you disagree with me. I'm not God, I'm not always right.